LOGAN, Utah – In March of 2005, Campbell Scientific Ltd. opened a new satellite office in Bremen, North Germany to intensify the ongoing commitment to provide service and support across Europe. Jens Lamping, Ph.D., Earth Science, and a native of Germany, leads the office as Regional Manager. This new office already has a well-developed customer base centered on research institutes and universities. An increasing number of government agencies are also using our equipment. 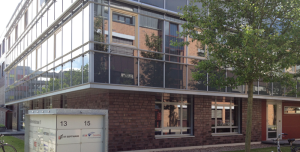 The new German office will provide local support for customer sales and technical questions. Increasingly, software and documentation will be supplied in German to keep both potential and existing customers up-to-date with product information. Visit the German affiliate office’s website at www.campbellsci.de.